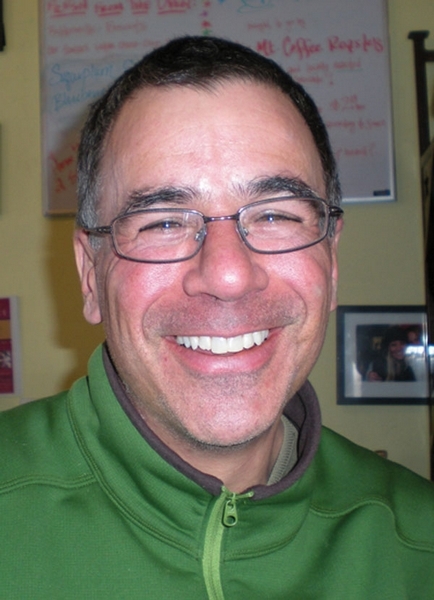 BRECKENRIDGE – Dave Rossi has at times been considered a fly in the ointment on Breckenridge Town Council. “I’m not afraid to shake things up. I’ve gotten crossways with staff on some issues,” he said, adding that there’s always been mutual respect and trust between himself and the town’s staff. Rossi, 43, was one of two members of the seven-member council to vote against a controversial firebreak ordinance last year. Upset residents petitioned to have the ordinance put on the fall ballot, and the council ultimately repealed the law’s mandatory conditions. Rossi has championed government transparency and has often asked town staff to conduct more research on an issue before a vote is taken. Rossi was the only council member against allowing the skateboarding ordinance – allowing people to skate on most town roads, including Main Street – to expire. He said at the time that he didn’t “like to make policy on anecdote” after a few stories of skaters hindering traffic were discussed. The highest-priority issue to him is the large development to occur at the base of the BreckConnect Gondola. “It is going to change the core of the town, without question,” he said, adding that he wants to make sure to “help and not hurt Main Street” as competing businesses open. He also said the construction zone “looks like a mess” of eight to 10 years, which will also likely impact local businesses. Rossi also wants to be involved with council as the anticipated City Market redevelopment begins to take shape. He said it could possibly become the new site for the primary U.S. Post Office building, which exists on Ridge Street with inconvenient parking. The U.S. Postal Service has not yet announced its intended new site for the existing satellite near the City Market parking lot, which is slated to be moved since an agreement was made to sell the land. Rossi said the town budget will continue to be a challenge, even after $700,000 was saved last year in reductions. Town marketing revenue through a business and occupational licensing tax has become unsustainable, for the tax wasn’t created to adjust for inflation. Council recently considered tax increases for the April ballot to keep Breckenridge competitive with such other ski communities as Vail and Telluride. Ideas such as a lift-ticket tax, sales tax increase or reallocation have been discussed at council work sessions. Rossi said that while the town’s contribution to marketing (supplemented with money from other funds) has increased by 16 percent each year, Breckenridge Ski Resort has kept its marketing budget flat in recent years. “To me that’s a little out of balance,” he said. He said he supports a lift-ticket tax, but would also like for the ski area to get a say in the spending of such money. His ideas include the town partnering with the ski area on bus services – currently operating independently of each other – which could free up more money to be spent on marketing. Rossi’s other priorities include more dialogue with the community on controversial issues. He also wants the town to begin recording work sessions to help avoid disagreement on what has been said. Rossi has two nephews at Summit High School and a sister who lives full-time in Summit County. He’s a third-generation Coloradan who was raised in Denver. He visited Summit County frequently with his family since the 1970s. He lived here in the late 1980s and left for California before returning to Breckenridge in 2001. Rossi works as a branding and design consultant and has done pro bono work for the Keystone Center. He also designed and donated the Town of Breckenridge’s open space map.